This is our Elf on the Shelf. He's on a vacation. A permanent one. Our Elf left three years ago and he is never coming back. Never. Just like most parents I bought into the idea. Ok, not really. Honestly, I was only doing it because my neighbor's across the street were and their children were constantly talking about their Elf. Can we say peer pressure?! Ha! I was feeling guilty and also feeling like my kids were going to start asking why they too did not have an Elf arrive the day after Thanksgiving. Sooooooooo, what does any parent do that doesn't want to spoil the magic of Christmas? We buy the Elf. Oh crap. What I didn't realize is that I had just committed myself to yet another daily obligation during the busy holiday season. Sure, the first year when I only had two young children it was fun. I tried my best not to get sucked in to those Pinterest ideas of the cute Elf making these perfectly placed messes and adventures all for the beauty of the perfect photo. No, I would keep it simple and just move our Elf here and there around the house. High enough so that my kids would not even be tempted to touch the Elf. And yet still within their sight line so they were able to discover it each morning when they went on the hunt for the Elf. It worked, but I still found it laborious. I would have my occasional "oh no, I forgot to move the Elf" mornings, but fortunately my children were still younger (preschool age and toddler) and didn't ask too many questions. They were just happy to see their Elf each day. I decided enough was enough. My Elf was not going to be on the shelf. Ever again. For the past two (and now approaching three) years, our Elf hasn't made it to our shelf - and here is why. Time. I just flat out have had to learn to say no to some things. As parents we have an ever growing to-do list, especially during the holiday season. At the end of each night I did not want to have to do one more thing. Or even worse, wake up in a sweat in the middle of the night just because I forgot to move the Elf. I think it is easy to get caught up in doing what other people are doing (or not doing) and worry about what others would think if you did not (gasp) have an Elf on the Shelf. But when I think about all the other things that I needed to accomplish, this one did not make my priority list. Money. At the time of purchase (2013) I believe my Elf was somewhere around $25. For a stuffed doll!? But did I buy it? I. Sure. Did. Did I have to buy a second one for the all intensive purpose of shooting this YouTube video and writing this article because I misplaced the first one. I. Sure. Did. I don't feel guilty. At all. I never had an Elf as a child growing up, and call me crazy but I still had many wonderful, memory filled holiday seasons. The very reason I actually started doing the Elf (peer pressure) was the very same reason I stopped. I realized that my kids were going to be talking to their friends about the Elf and comparing stories and adventures of their little Elves. I never wanted my kids or someone else's kids to feel pressured because their Elf wasn't doing something silly, funny, or Pinterest worthy. My kids are beginning to ask questions. And I am just trying to keep the magic of Christmas alive. I am seriously looking over my shoulder as I type this blog post. My older two are readers and if they ever saw this blog post, the MAGIC of Christmas would be destroyed. My kids still have the MAGIC of Christmas within them and I want it to stay that way for as long as possible! With my oldest in 2nd grade, I would hope that Christmas magic continues for a few more years. I did not want a stuffed doll (that I forgot to move) to be the reason my kids' magic disappeared. The irony in this article is although the Elf will not be on my Shelf this year, he is still sucking up my time, money, and energy. Look at me. 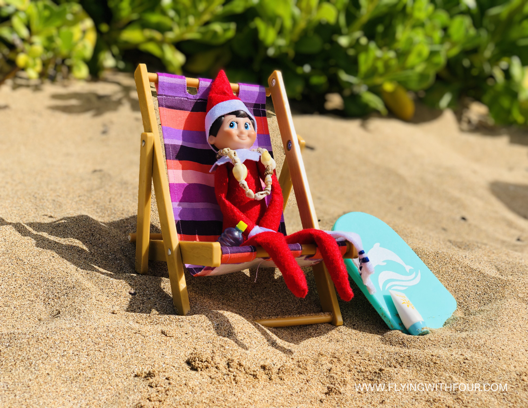 I brought the Elf on the Shelf on vacation to Maui with me!? Ha! I don't hate the Elf on the Shelf. Honestly, I think it is clever and creative. However, as parents we need to pick and choose what we are going to do with our kids during the busy holiday season. I love to see when different families incorporate their Elf in acts of good deeds, charitable work, and family traditions. I am choosing to no longer do the Elf on the Shelf with my kids - and that's OK. And if you are still chugging along with your Elf - you are AMAZING mamas! Just make sure you are doing it and want to be doing it, and not following into the trap of "everyone else is doing it." 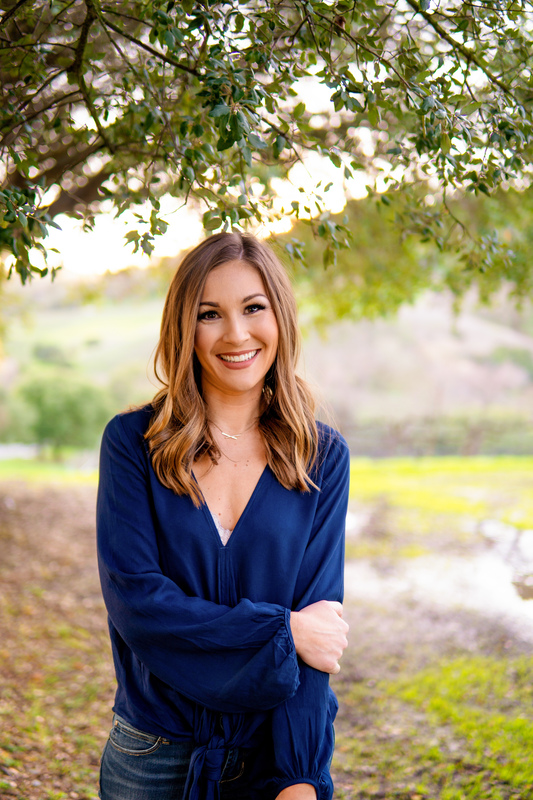 I am hoping that in writing this that other moms see that we have options for this commitment we have put ourselves in. And I am giving you all the tools you need to pull it off. Join my email list directly on my site www.flyingwithfour.com and I will send your child/children a personalized Elf on Vacation postcard. Maybe it will be his bon voyage card at the end of the holiday season, or maybe it will be his final farewell note explaining that his services are no longer needed at your house. For me, peace out Elf! It was fun.